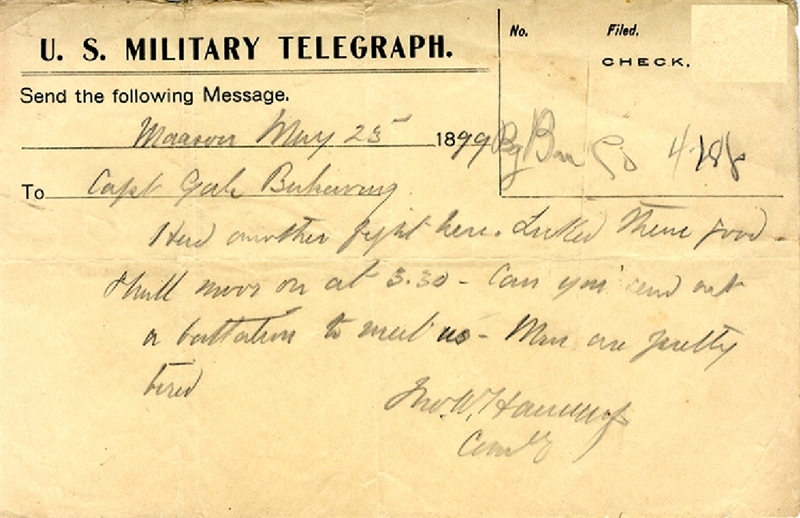 U.S. Military Telegraph, 8-1/2’ x 5-1/2”, pre-printed and filed out in pencil. In large part, “Maasin, may 25, 1899. To Capt gale Baliuag. “Had another fight here. Licked them good. I will move on at 3:30 - Can you send out a battalion to meet us? Men are pretty tired. Jno. W. Hannay, Cmndg” . VG.